Now including a chapter on how to develop your professional image and integrate it into your job search letter, Ultimate Cover Letters 5th edition covers all aspects of this crucial part of the job-hunting process in an engaging and approachable way, ensuring you put every chance of success by your side. Ultimate Cover Letters will help you make the perfect first impression. 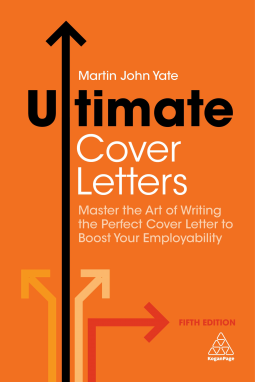 Ultimate Cover Letters is an excellent resource for the job seekers out there. I requested this from NetGalley to help a friend who is about to write a job application. He's been in the same role for over 20 years and is out of the loop in terms of applications and interviews. I was helping him with the letter, so I read this book first, and it provided me with many useful tips on presentation and content which I could then pass on to him. It has also given me a few ideas for how to super-charge my own application letters. The bulk of the book is sample letters, imagining job applications in a wide range of fields, and that is useful to see how you should approach things differently depending on the role. Overall, this is another great book in the Ultimate series. 4.5 stars from me.